Austen has a better social schedule these days then I do. In fact, he is my social schedule. From birthday parties to playdates to sleepovers to t-ball and swimming, I don’t know if I’m coming or going half the time. I’m afraid to even think how crazy it will be when Peyton starts getting involved in these activities. Anyway, I think we’ve created a monster as Austen always wants to know what the next thing we are going to be doing is! Now, don’t get me wrong, this kid could play in his room by himself for hours with just his cars and sometimes he prefers this but his common refrain is “Mommy, after nap, where are we going? Mommy, after school, where are we going? Mommy, after swimming, where are we going?” He’s a busy little kid who is constantly on the move. Since Friday, he went on a field trip to the nature museum with his class; Great America on Saturday with his good friends from school; swim lessons on Sunday with more good friends from school; and Uncle Mickey's birthday party Sunday afternoon. When Adler wants to play she doesn't just bother Tom and me. She now knows she can go to Austen and sometimes he'll play with her too. However, she usually does this after Austen's been at school all day and all he wants to do is play by himself in his room with no disruptions. So often, I hear him whining, "No, Adler, I don't wanna play!" I then tell him not to be mean to Adler and if he doesn't want to play with her then we'll give her away to one of his friends who would love to have a dog (of course I'm teasing because I would never give Adler away). This is met by more whining and almost begging me not to give Adler away. I tell him that he doesn't know how lucky he is to have a dog and especially Adler. In fact, one weekend while at a friend's house who had two dogs, Austen got to experience what it was like to have a small dog and a medium sized dog. Austen liked the medium sized dog but for some reason was afraid of the small dog. We left Austen to draw in their dining room while we mingled with the other guests when all of a sudden I noticed Tom was gone. When he returned, he told me that he had heard Austen on the other side of the house calling for us because the dog was barking at him and following him. Austen couldn't find us in their big suburban house and ended up getting cornered in the laundry room by the small dog who was barking at him. I couldn't stop laughing when Tom told me. Poor Austen. But, when he's mean to Adler, I tell him that Bailey is going to come live with us! Are Girls Easier Than Boys? She is a super easy kid too to put to bed. Put her in her crib a little bit drowsy and she'll entertain herself until she drops off to sleep. That was so not Austen even though he wasn't a bad sleeper. Go out to eat at a restaurant and she'll smile at you the whole time from her car seat while you're eating your food. So what has my easy kid been up to lately? See for yourself below. Who is Adler's Daddy you might be wondering. Well, it's a big, buff Bernese Mountain Dog named Ty. Her mom's name was Hailey and if you look at pictures of Adler's mom, she looks just like her. Why is this relevant you might be asking...well, every day we drive by the park near our house on the way home from school. There's a lot of dogs in the park. And, while Adler used to be the only Berner in our neighborhood when we got her five years ago, her striking good looks have made about three other families seek out the breed. 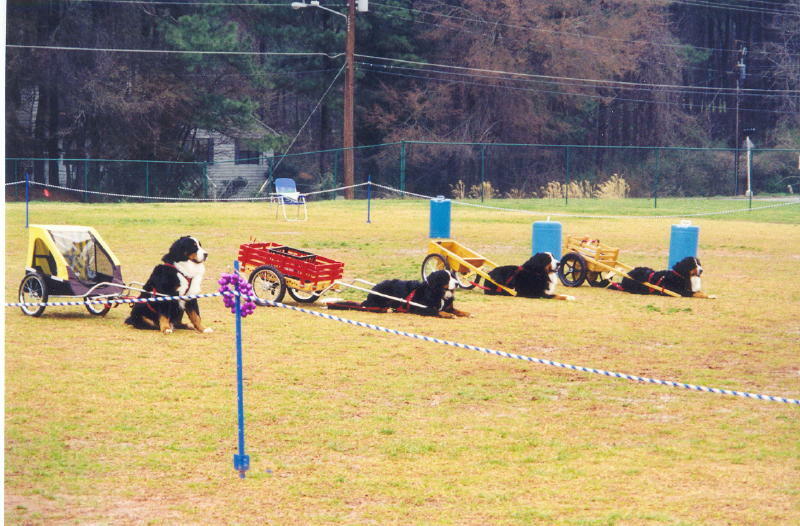 Therefore, when we go by the park, there is inevitably a Berner running around in the park. One day, Austen was observing the dogs in the park as we drove by when he suddenly proclaimed, "There's Adler's Daddy! Adler, there's your Daddy!" 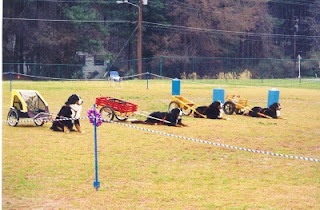 I had to do a double take to see what he was talking about but upon further inspection of the dogs in the park, I noted that one indeed was a Bernese Mountain Dog. Austen was right. 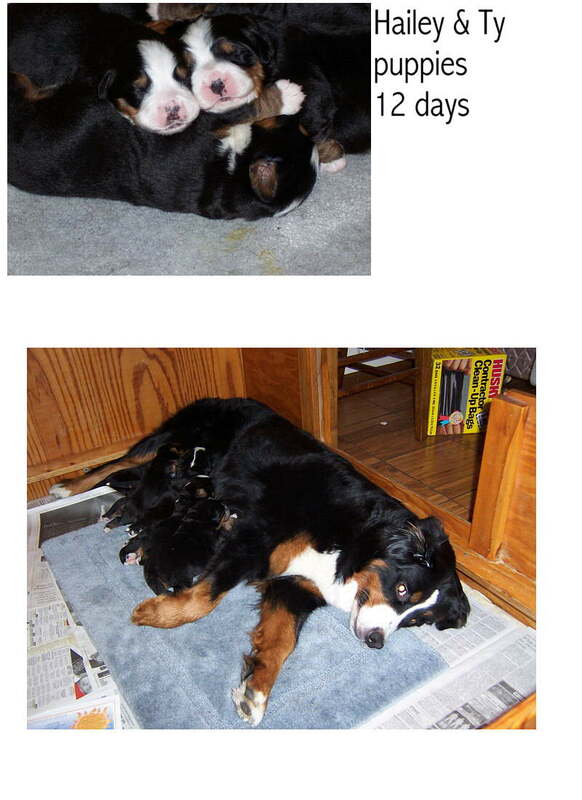 However, I'm not sure how one much younger than Adler could be her Daddy but these other Berners were big beside our Adler so I think that's how Austen deduced that it was her Daddy. Check out Adler's real Mommy and Daddy below.